US snowboarding Olympian Chris Corning is lining up to take on an amped field of kiwi snowboarders in the Treble Cone Banked Slalom 2018. The iconic event has a strong history and its open entry status always attracts outstanding local talent, riders from around New Zealand and visiting international professionals. This year is no exception with Corning upping the ante for this weekend’s event. Chris has made a name for himself in both slopestyle and big air with two World Championships and World Cup titles under his belt. Earlier this year he finished fourth in the 2018 PyeongChang Olympic Big Air competition. Previous events have seen entries from stars such as Freeride World Tour boarder Amber Schuecker, pro Norwegian Terje Haakonsen, and former Olympian Scotty Lago. Even kiwi freestyle skier Jossi Wells has strapped on his snowboard to take on the course. New Zealand’s ski areas attract international pro riders during the Northern Hemisphere’s off-season, and the festival atmosphere of the Treble Cone Banked Slalom is a big attraction for visiting athletes. As a result, it’s an event at which local riders can find themselves facing down big-name pros, although the results aren’t as predictable as some might think. The technical nature of the course means that there’s plenty of opportunities for unforced errors and some surprising winners! Local snowboarding royalty Deni Bevin, 42, is looking to reclaim his Master’s title and is excited to be competing against top athletes from the world circuit. “I love giving the young guys a good run for their money,” he says. “Banked slalom is competitive by nature, but it really brings the whole snowboarding community together. “It’s a great opportunity to compete against some of the best in the game. Winning the event a few years ago was a serious springboard and sent me to Mt Baker in the US to compete in one of the largest banked slalom competitions in the world”. The Treble Cone Banked Slalom is part of the World Snowboarding Federation Banked Slalom World Tour, a global series that spans 14 countries. The TC event sees racers pit themselves against the clock on a course that sees them riding high on the sides of a snow-filled gulley, aligning the classic snowboard feeling of ‘surfing the mountain’ with alpine racing. This year’s event will see racers compete for glory in TC’s legendary Saddle Basin, which is renowned for its twisting fall line, natural airs and slashable banks. There’s cash on offer for the winners in Open and Masters male and female categories and other prizes including Never Summer snowboards and the chance to compete in the legendary Mt Baker Banked Slalom. 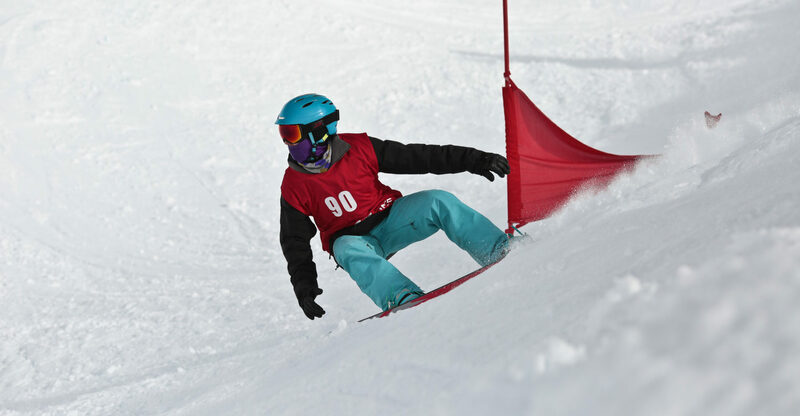 The Treble Cone Banked Slalom takes place on August 11th at Treble Cone ski resort, Wanaka. Racing starts at 11am and spectators are encouraged to check out the action.